I survived another quarter of dental school! That was brutal. There are no words. I am so thankful for this three week vacation. I plan on some cooking awesome meals, sleeping (a lot), baking, working out, watching tv, going shopping… doing normal people things! Man, all of that sounds pretty amazing, right? 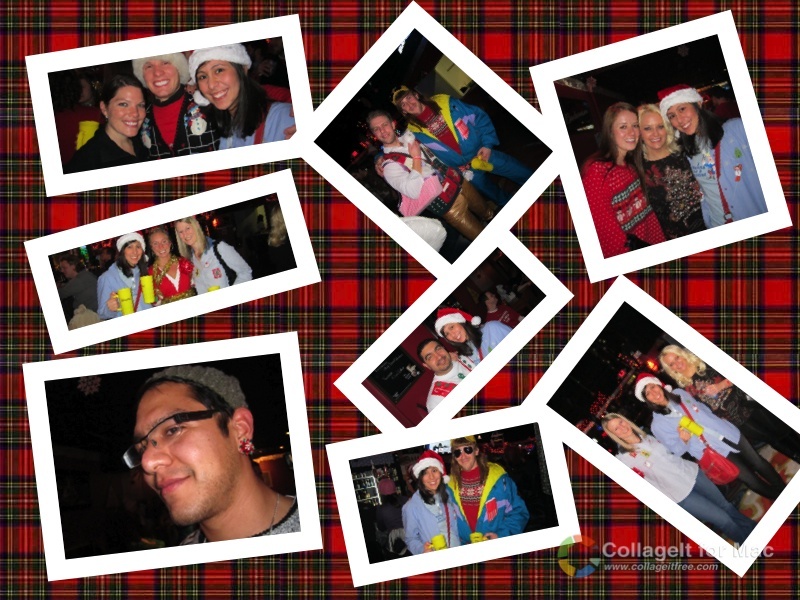 Last night to celebrate completing another quarter of classes, the dental school fraternity held an ugly Christmas sweater party and I have to say we celebrated our freedom pretty well. Anyways, now on to these crunchy baked pork chops. They turned out delicious! So crunchy and so full of flavor. Husband even liked them and he’s not a huge fan of pork chops! I got the recipe idea from the Smitten Kitchen and I made a few changes. 1. Adjust oven rack to middle position and pre- heat oven to 350 degrees. Season pork chops with salt and pepper. 2. Meanwhile, pulse bread in food processor until coarsely ground, Add garlic, oil, 1/4 teaspoon salt, and 1/4 teaspoon pepper. Toss until crumbs are evenly coated with oil. Place breadcrumb mixture on baking sheet. Bake until deep golden brown and dry, about 15 minutes, stirring twice during baking time. (Do not turn off oven.) Cool to room temperature. 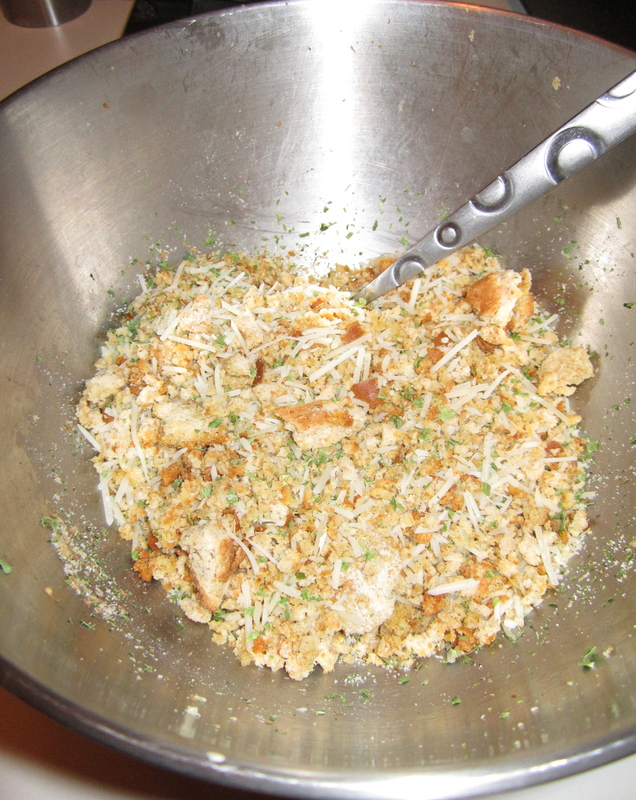 Toss crumbs with Parmesan, thyme, and parsley. 3. Place 1/4 cup flour in plate. In second plate, whisk egg whites and mustard until combined; add remaining 6 tablespoons flour and whisk until almost nearly smooth. 4. Increase oven temperature to 425 degrees. Cover 1 pork chop in flour; shake off excess. Using tongs, coat with egg and mustard mixture; let excess drip off. Coat all sides of the pork chop with bread crumb mixture, pressing gently so that thick layer of crumbs adheres to chop. 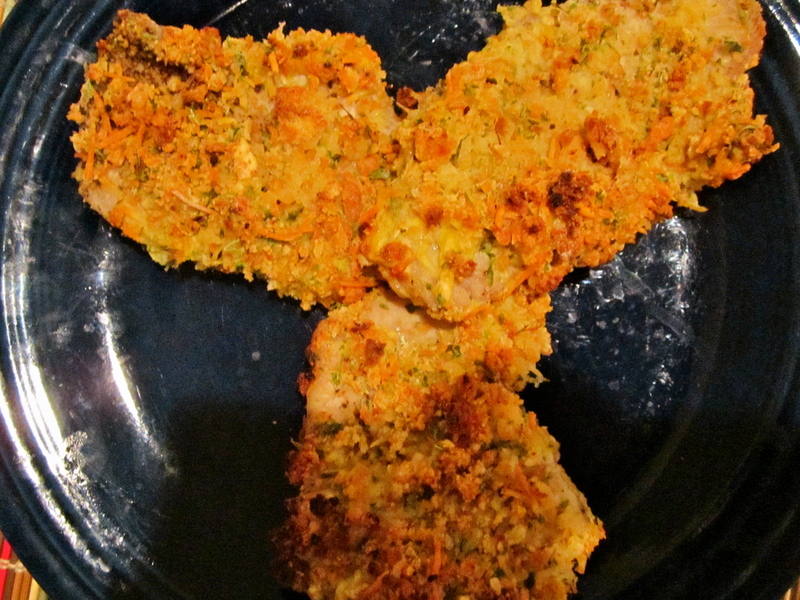 Transfer breaded chop to baking dish. Repeat with remaining pork chops. 5. Bake for 17 to 25 minutes. Let rest for 5 minutes before serving.